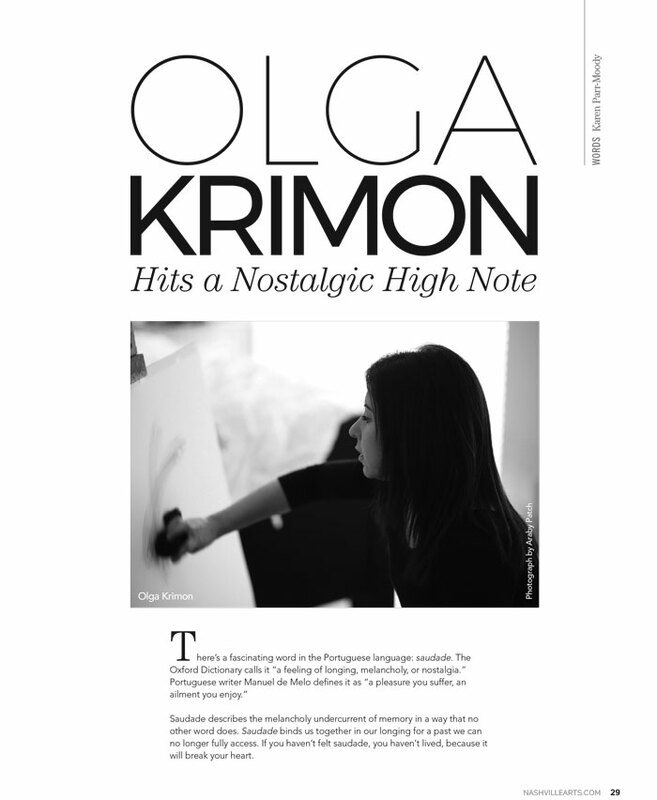 Born in Odessa, Ukraine, Olga Krimon received academic art education in Kazan, Russia. 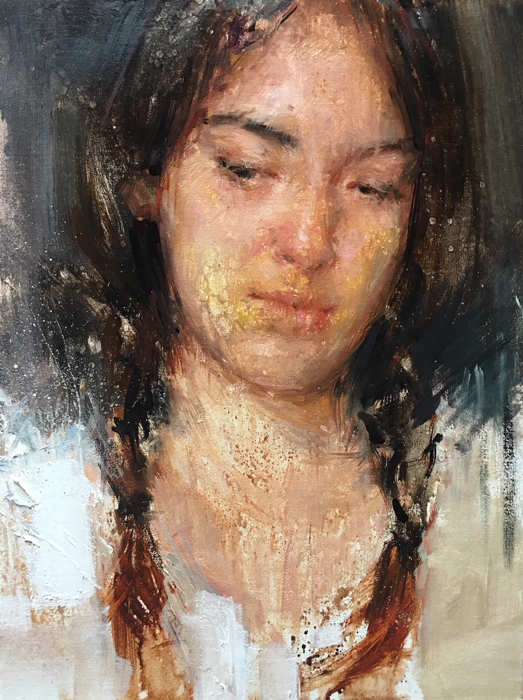 Growing up she was (and still is) largely influenced by Repin, Serov, Brullov, Levitan, Kramskoy, Fechin and other Russian titans. 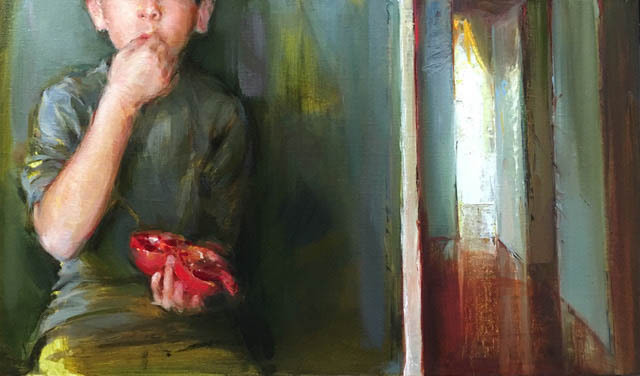 She then discovered Sargent, Zorn, Sorolla and Cecilia Beaux, and to this day she examines the movement, the bold brushstrokes and the value arrangements in their pieces. 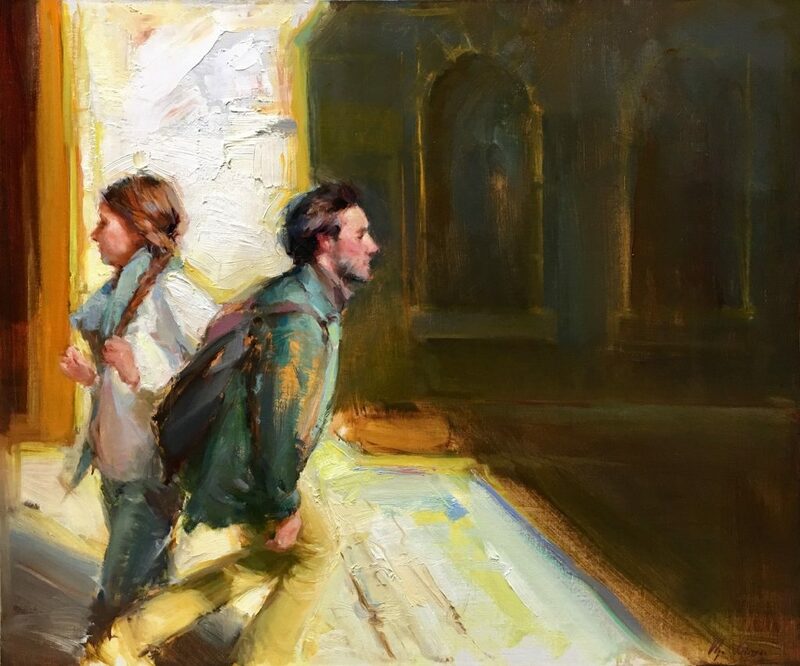 She continued to grow and develop her skills later in America, through drawing classes with Glen Orbik and painting classes with Jeremy Lipking. 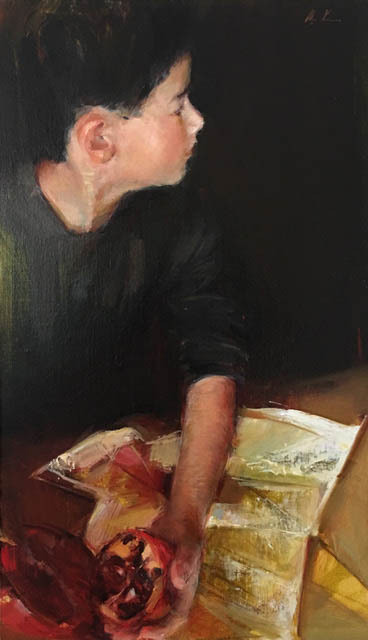 Olga also holds a BA in Art History, and she credits it with providing her the rich visual vocabulary that is instrumental for defining her path as an artist. She also later received MBA, making her well-grounded in the business side of an artistic career. 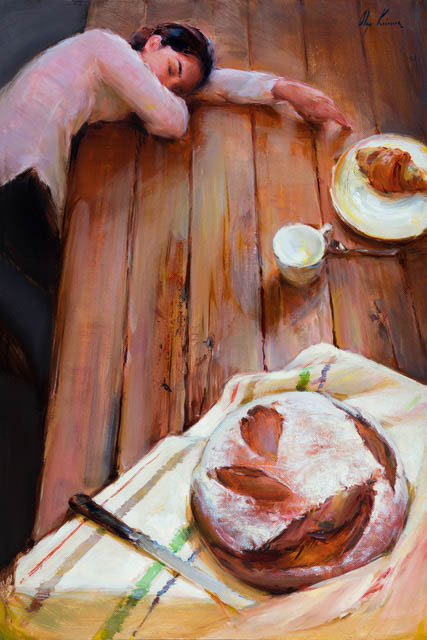 Olga continues to refine her craft through independent studies and daily practice. 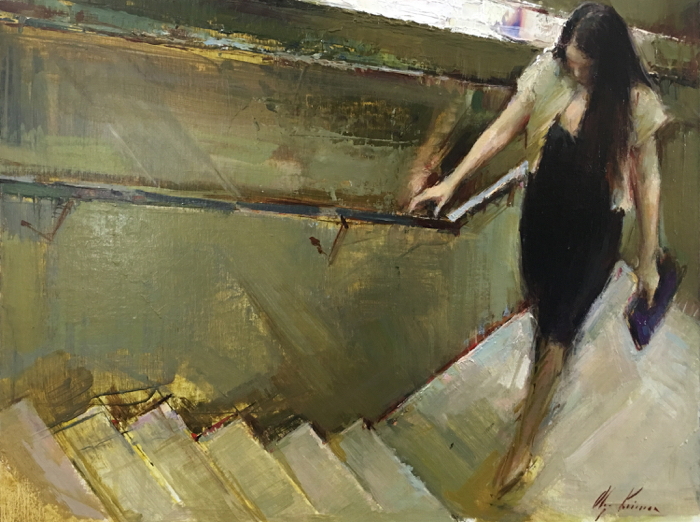 Over time, she developed her own style grounded in fundamental principles of academic realism, sensitivity to subtle value and color transitions, and yet bold energy of movement and expressive brushstrokes. 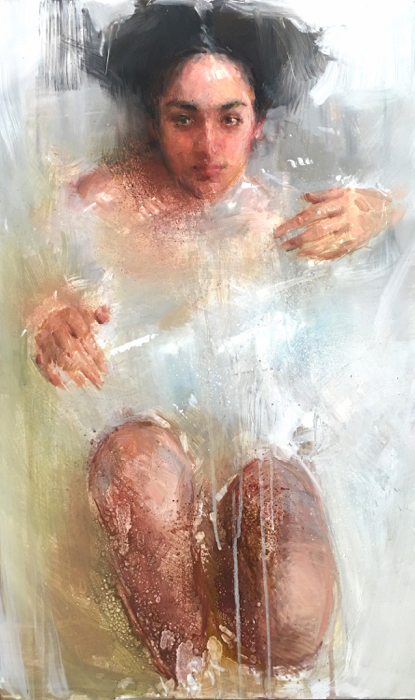 Olga’s Figurative and Still Life Paintings are recognized by the Portrait Society of America PSoA (International Competition 1st Place Drawing 2016 and 3rd Honor Award 2014, Certificates of Excellence 2011, 2015 and 2018, Members Only 3rd Merit 2015 and Honorable Mention 2014) and American Art Collector Award of Excellence, Oil Painters of America (OPA) Western Regional Competition 2014. 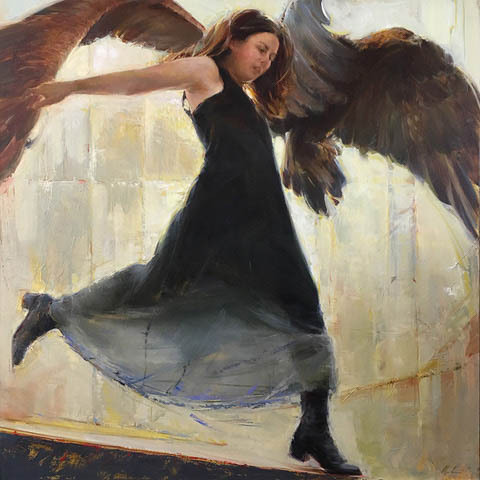 She is also a finalist in 2015 and 2016 Art Renewal Center (ARC) International Salon Competition.